Double-booking, as the practice is sometimes called, triggered a fierce dispute among doctors at Massachusetts General Hospital in recent years, leading to the 2015 dismissal of an orthopedic surgeon who opposed it. 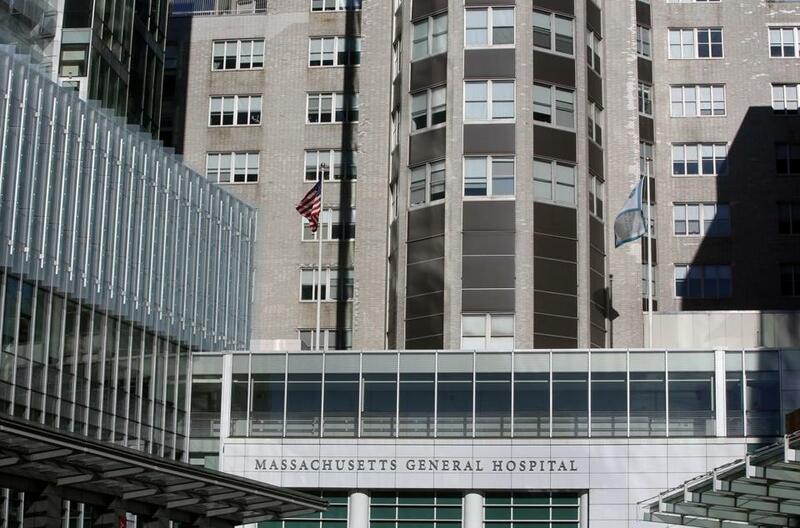 A prominent Boston neurosurgeon was illegally forced out of his previous job at a New York hospital for strongly objecting to a policy that allowed another surgeon to perform complex spine surgeries on two patients simultaneously, a judge ruled. Double-booking, as the practice is sometimes called, triggered a fierce dispute among doctors at Massachusetts General Hospital in recent years, leading to the 2015 dismissal of an orthopedic surgeon who opposed it. But Dr. James Holsapple may be the first doctor to win a lawsuit alleging he faced retaliation for challenging the practice. New York Supreme Court Justice James P. Murphy ruled after a bench trial that University Hospital in Syracuse retaliated against Holsapple after he spoke out about the surgeon running two operating rooms at once. “Dr. Holsapple vehemently objected and opposed the procedures for valid public health and safety reasons,” Murphy ruled in a 13-page decision received by the neurosurgeon Monday. Holsapple, now chief of neurosurgery at Boston Medical Center, was awarded $88,277 in lost wages under the New York State whistle-blower statute. His lawyer estimated that the award could top $150,000 because Holsapple is entitled to interest on lost wages. Holsapple, who resigned under pressure from University Hospital in 2009 and moved to Boston, said he felt vindicated. “I did what I thought was right, and I’m grateful that the judge who heard the case saw it the same way,” said Holsapple, who heads the neurosurgery department at the Boston University School of Medicine. The New York attorney general’s office, which defended University Hospital as part of the State University of New York, referred all questions to the hospital. Darryl Geddes, a hospital spokesman, said he could not comment because the attorney general’s office is considering an appeal. Holsapple trained at the hospital starting in 1986 and rose to associate professor of neurosurgery. Around 2006, hospital leaders recruited Dr. Ross Moquin, a specialist in complex spine surgery, and gave him permission to routinely oversee two simultaneous surgeries in adjoining operating rooms, said the judge. Junior surgeons would assist Moquin, who would shuttle back and forth between the operating rooms. Holsapple “raised immediate concerns” because “the assisting surgeons were not qualified to perform the procedure should Dr. Moquin be delayed for any reason,’’ said the judge’s ruling. That’s exactly what happened, according to Holsapple’s lawsuit. A patient suffered a serious spinal fluid leak after two surgeons not qualified to handle the procedure completed it because Moquin got stuck in another operating room. After Holsapple repeatedly complained about double-booking, the chairman of the neurosurgery department, Dr. Walter Hall, told him, “I am tired of your complaints,’’ according to the judge. Hall slashed Holsapple’s salary by stripping him of a number of appointments at the hospital, including residency coordinator, quality assurance officer, and pediatric neurosurgeon. The judge also noted that in 2010 inspectors from the New York State Department of Health investigated University Hospital for many concerns that Holsapple had raised. The inspectors found the hospital had violated several state regulations. Holsapple demonstrated remarkable resilience for pursuing the lawsuit after he left Syracuse for Boston in 2009, his lawyer said. “Jim was more concerned about the patients he left behind and making sure the cesspool he left behind was cleaned up,’’ attorney Henry L. Saurborn Jr. of New York City said. He said Holsapple’s case was the first verdict he knew of that found in favor of a whistle-blower who complained about concurrent surgery. But a recent verdict in a medical malpractice lawsuit gave a more mixed message about double-booking. A Boston jury found in January that a spine surgeon at Mass. General failed to inform a Westwood financial analyst that he planned to operate on two patients at once, but the jury concluded that the doctor’s divided attention did not cause the man’s quadriplegia. That operation figured prominently in a Spotlight Team investigation of simultaneous surgeries at MGH and other teaching hospitals. 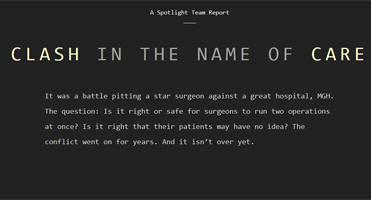 Since the series, many hospitals have restricted concurrent surgery, and the US Senate Finance Committee recently sought to curb it. In addition, the state Board of Registration in Medicine in January 2016 gave preliminary approval to rules that would require surgeons to document each time they enter and leave the operating room and to identify other medical personnel who would help the attending doctor, as part of a patient’s informed consent. The medical board is expected to soon consider final approval of those requirements, which have drawn criticism from some doctors and hospitals as burdensome and impractical.